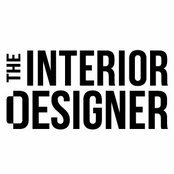 The Interior Designer is Australia’s newest online boutique offering an exquisite and unique collection of styled on trend furniture and a curated collection of designer furniture, homewares and lighting to completely decorate and furnish your home. Styling your home will never be this easy again. We are committed to offering the most luxurious high quality furnishings for your special space. We are located in Australia and thoroughly love what we do and we aim to provide our customers with the highest quality at the best prices! We have working partnerships within Australia and Internationally that allow us to provide the general public with these collections at reduced and affordable prices. If you need a particular piece or style we either have it or we can source it for you. We believe in personalised service, quality and integrity and our online showroom provides our clients nationally and internationally access to our vast product ranges. The Interior Designer has been the culmination of a life-long passion for interiors. 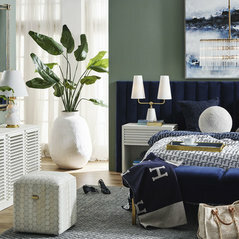 I always had an inclination for design and when we moved into our beautiful home a few years ago, I indulged into an extensive search of furniture, paintings, lighting and a curated collection of special décor pieces hand picked to compliment my aesthetic classic design sense and personal flair to create a home of style and sophistication. What began as a hobby has now turned into a fulfilling profession. This journey is close to my heart and through this venture I hope to inspire those who seek stylish, classic designs for their home. I look forward to sharing this passion with you!